GE announced today that H Lawrence Culp Jr. has been named Chairman and Chief Executive Officer of the Company by a unanimous vote of the GE Board of Directors, effective immediately. Additionally, the GE Board has appointed Thomas W. Horton as Lead Director. Mr. Culp and Mr. Horton have been members of the Board since April 2018. H Lawrence Culp Jr will succeed John Flannery as Chairman and CEO. While GE’s businesses other than Power are generally performing consistently with previous guidance, due to weaker performance in the GE Power business, the Company will fall short of previously indicated guidance for free cash flow and EPS for 2018. 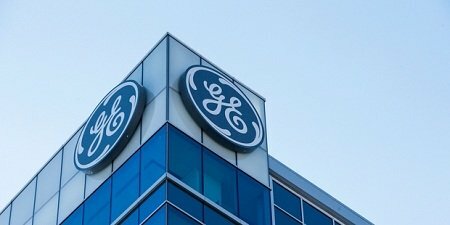 In addition, GE expects to take a non-cash goodwill impairment charge related to the GE Power business. GE Power’s current goodwill balance is approximately $23 billion and the goodwill impairment charge is likely to constitute substantially all of this balance. The impairment charge is not yet finalized and remains subject to review. The Company will provide additional commentary when it reports third quarter results. H Lawrence Culp Jr, 55, served as Chief Executive Officer and President of Danaher Corporation from 2000 to 2014. During his tenure he led the highly successful transformation of the company from an industrial manufacturer into a leading science and technology company. Under Mr. Culp’s leadership, Danaher executed a disciplined capital allocation approach, including a series of strategic acquisitions and dispositions, a focus on investing for high-impact organic growth and margin expansion, and delivering strong free cash flow to drive long-term shareholder value. During his 14 years at the head of Danaher, the company’s market capitalization and revenues grew five-fold. Thomas W. Horton, 57, served as Chairman and Chief Executive Officer of American Airlines from 2011 to 2013, and Chairman of American Airlines Group from 2013 to 2014. During his tenure he led the successful restructuring of the airline and its eventual merger with US Airways, creating the world’s largest airline. In addition to a deep knowledge of the aviation industry, Mr. Horton brings strong financial skills and corporate governance experience to the board, having served earlier in his career as the Chief Financial Officer of American Airlines and AT&T Corporation.